Made in Switzerland to very high standards, this comfortable and robust Genilina armchair stands on a brushed aluminium swivel base. 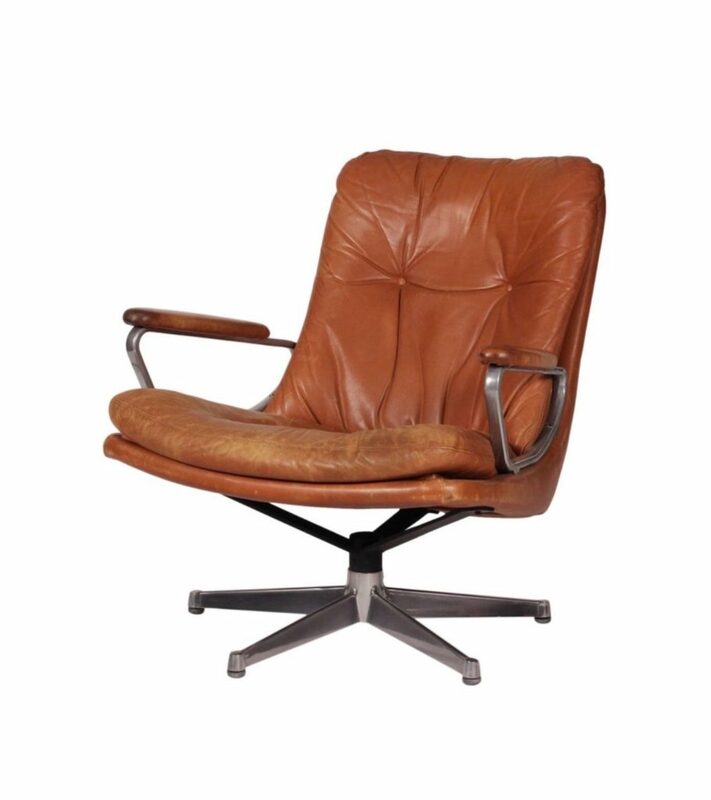 Produced as the sister chair to the king chair by Strässle and designed by Andre Vandenbeuck of Belgium. This swivel lounge armchair is upholstered in soft golden tan leather, which over the years has warn into a wonderful lived in look. Minimum price for the offer must be greater than 956.9% of the Product.